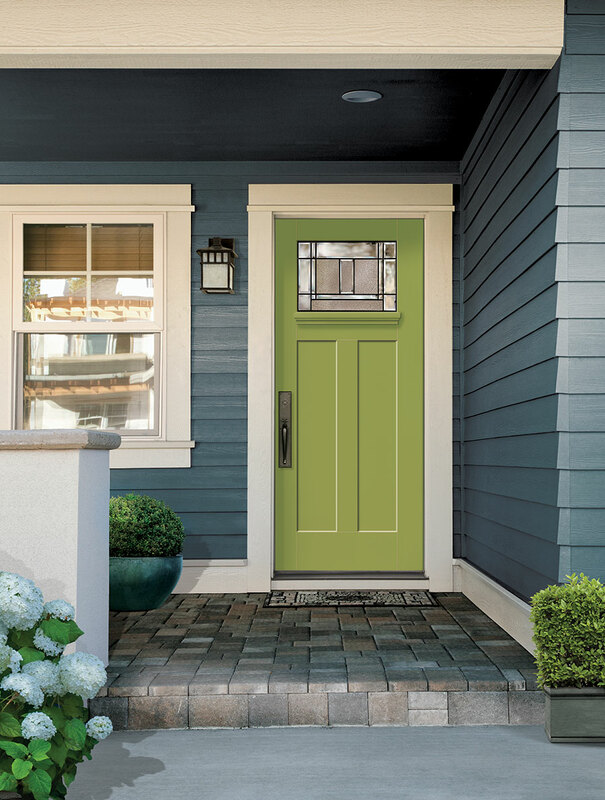 Most designers and architects view the craftsman style door as an essential part of a classic door collection, however fiberglass materials and glass options are now giving designers options to leverage the clean geometric lines of this classic style to create modern and contemporary craftsman door options. At Tru Tech Doors, we have definitely seen increased interest in craftsman doors with a modern twist. Using a smooth Belmont fiberglass door with a bright color in contrast to the color of the rest of the house is a great example of this. Designers are considering non-traditional stain colors on Craftsman Fiberglass doors to both be in harmony with, and in contrast to interior flooring in the house. Finally, modern glass designs featuring more geometric patterns with simple caming and bevelling, are now being used in Belmont Fiberglass Craftsman doors to create more contemporary European looks from the classic North American craftsman door. If the thought of taking a new spin on old classic interests you, look at the options available to you at Tru Tech Doors. With smooth, oak, and mahogany Fiberglass doors available and a wide variety of decorative glass to match, you are bound to find the perfect contemporary design for you project.